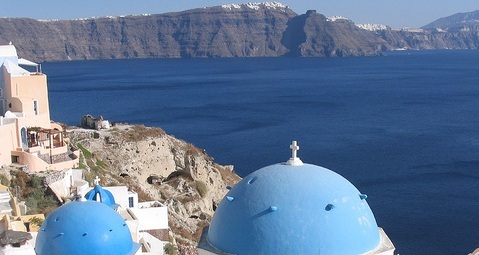 5Have you fallen ill on a package holiday in Greece in the last 3 years? Our dedicated team of travel law experts at Holiday Illness Claims have helped British holidaymakers like you to claim over £125,000 in compensation after falling ill on holiday in Greece. To find out how our specialist holiday illness solicitors could help you, call today on 0800 01 54321. Our expert holiday illness claims team have represented holidaymakers throughout the UK to claim compensation after falling ill in Greek destinations including Crete, Rhodes, Kos, Skiathos and Corfu. Whether you are already on holiday in your chosen resort or are due to fly out soon, make sure to keep updated with the latest holiday illness reports in Greece. Could you make a no win fee claim for compensation? If you have fallen ill on a package holiday in Greece, our dedicated team of holiday illness solicitors at Holiday Illness Claims could help you make a successful claim for holiday illness compensation. Providing your holiday took place within the last 3 years, and was booked as part of a package, you are eligible under the Package Travel Regulations 1992 to bring a claim against your tour operator. So, if you have fallen ill due to the negligence of a package holiday hotel, you are entitled by law to claim compensation. Holiday Illness Claims has over 50 years combined experience within the travel law industry and are proud to have grown into one of the UKs leading holiday illness claim specialists. With our unrivalled client care and success rate you can be rest assured that your holiday illness claim is in the best possible hands and that you will always receive the maximum compensation you deserve. Our friendly holiday claims specialists will always be on hand to answer any questions or queries you may have throughout the process and are never more than a phone call away. To discuss your claim with a dedicated holiday illness solicitor, call today on 0800 01 54321. Alternatively, simply complete our quick online contact form and well be in touch as soon as possible.